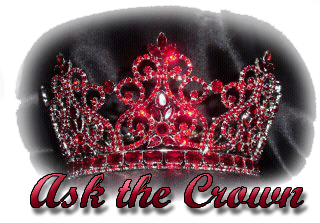 What a great PageantLIVE/Ask the Crown program to be sharing in October's Breast Cancer Awareness Month! 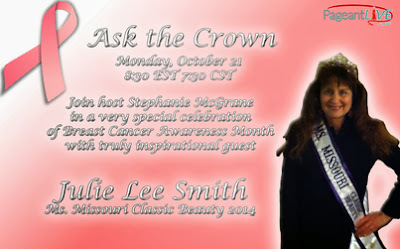 PageantLIVE hosted the very energetic and wonderful Julie Lee Smith- Ms Missouri Classic Beauty on October 21st, 2013 as she joined Stephanie McGrane in a show featuring her journey as a breast cancer patient and survivor. Many people who get their yearly exams and physicals don't anticipate the kind of whirl wind of events that happened when Julie made it to her July appointment. Only anticipating the usual hour or so in the doctor's office, she was surprised to find herself still in the doctor's office, 6 hours later, going through the gauntlet of tests for the abnormalities picked up in her usual testing. Julie had a 3D mammogram as a part of her diagnosis process. She talked to Stephanie and the viewers about the benefits this test had for her and the benefits it can have for women 50 and older. She says that she believes that this new technology is what has helped save her life. With only about 300 clinics in the US having the technology in their hospitals, Julie says it is very new and may be hard to get with your insurance etc, but is very worth looking into if you are faced with the need to have one done. As Julie had suggested, I looked up a little information on breast tomosynthesis. Julie highlighted the importance of being your own advocate for your own care and to know what your insurance policies cover before you head into treatment and surgery. "If they (the insurance companies) can get by without having to put you up in the hospital, they will do it. And so many things were running through my mind." Julie said, ".... so many questions, and I was so relieved to had thought to look all that up before I had gone into the hospital." "Definitely look at your policies if you have to have surgery." Mutation of BRCA1 and BRCA2, AKA: the "cancer gene"
Julie had also found out in the process of her testing that she had the "cancer gene", a series of mutations of tumor suppressor proteins that gave her an estimate that with her genetic testing and family history, that she has a 87% chance of getting breast cancer. www.cancer.gov says, "About 12 percent of women in the general population will develop breast cancer sometime during their lives. By contrast, according to the most recent estimates, 55 to 65 percent of women who inherit a harmful BRCA1 mutation and around 45 percent of women who inherit a harmful BRCA2 mutation will develop breast cancer by age 70 years." "I was just doomed to get it. ... Those are horrible Las Vegas odds!" Julie joked, "My parents always said I was special!" But Julie also warned that when you are considering getting tested for the "cancer gene" you should be sure you already have a life insurance policy. "Once you get tested a lot of life insurance policies will not cover you or accept you once they know you have that (gene)," she warned. Julie wanted to really stress the importance of getting your regular mammogram and your monthly self exam. "I know mammograms hurt, but it hurts worse to know that you have cancer and you couldn't have done something about it. ... If I had skipped it (the exam) I wouldn't be here now." Julie went on to say, "you can go (to get your test) on an event like your anniversary, or something like that, so it is easy to remember." 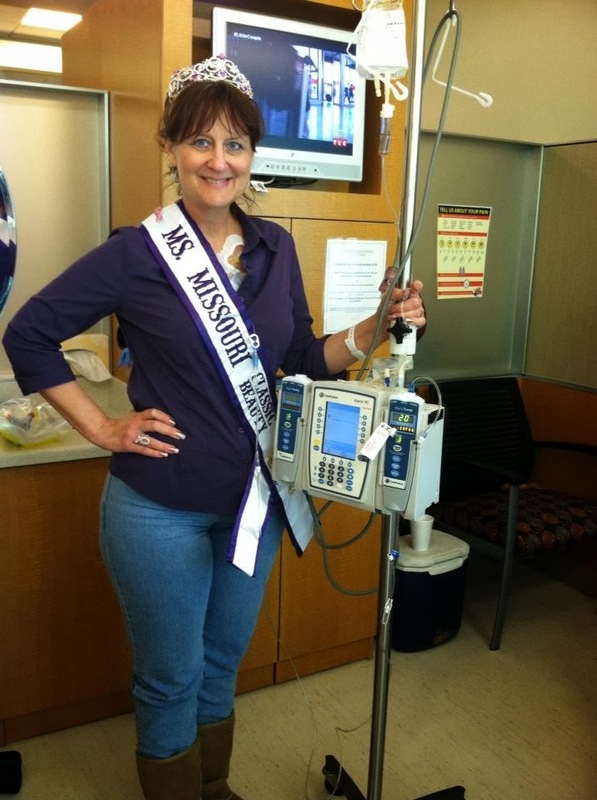 Her nurses often call her "Queen Chemo". 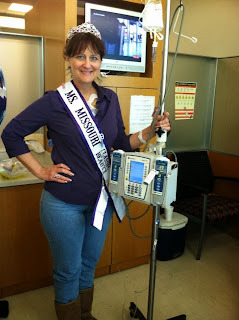 Julie wears her crown and sash to many of her treatments. She has found that the camaraderie and friendships that she has found in her pageant sisters has lead her to the people that she leans on a lot to help encourage her through treatment. 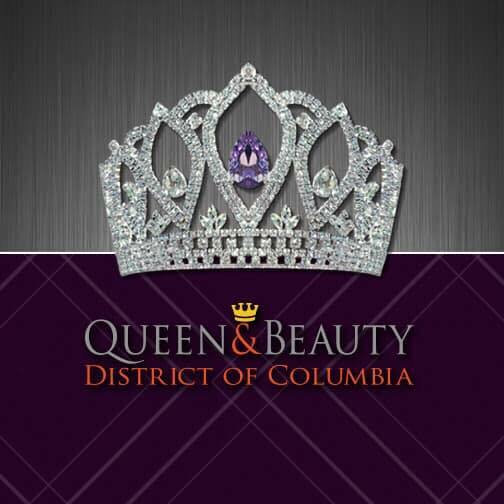 "I have never seen such a support system in my entire life," is what her doctor told her when he saw her Facebook page with all of her pageant friends helping and supporting her. "I am so glad to be a part of something that has a meaning and a cause and that will help others. I like doing those charity events, runs/walks and fashion shows. ... getting out there and helping others," Julie observed "... People seem to stop and listen when there is a title behind it." 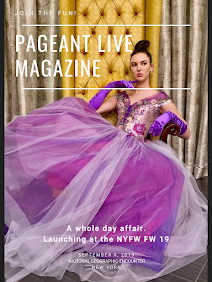 Hello all and thank you to PageantLIVE!